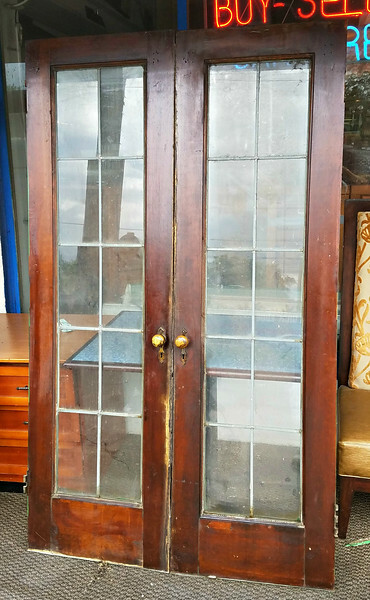 Set of Vintage Wood Leaded Glass French Doors. 24 x 2 x 80. $295 for the set.